It’s taking me a while to get ALL my photos uploaded, resized and cataloged from our recent visit to the Great Smoky Mountains. Sitting in front of my computer working on the pics makes me want to stretch! 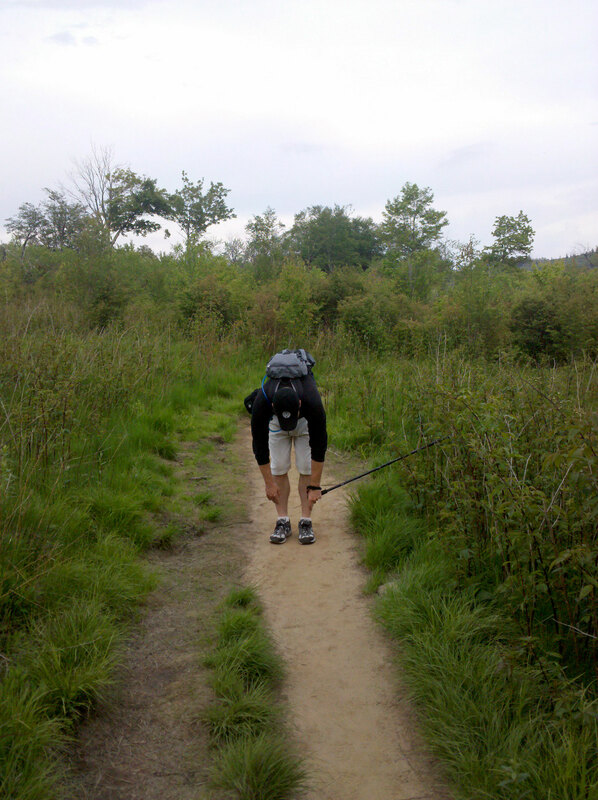 So I am going to start showing some of our trip pics that include some simple stretches you can do while hiking. The stretches require a hiking pole or stick but any nearby long tree branch or stick will do! 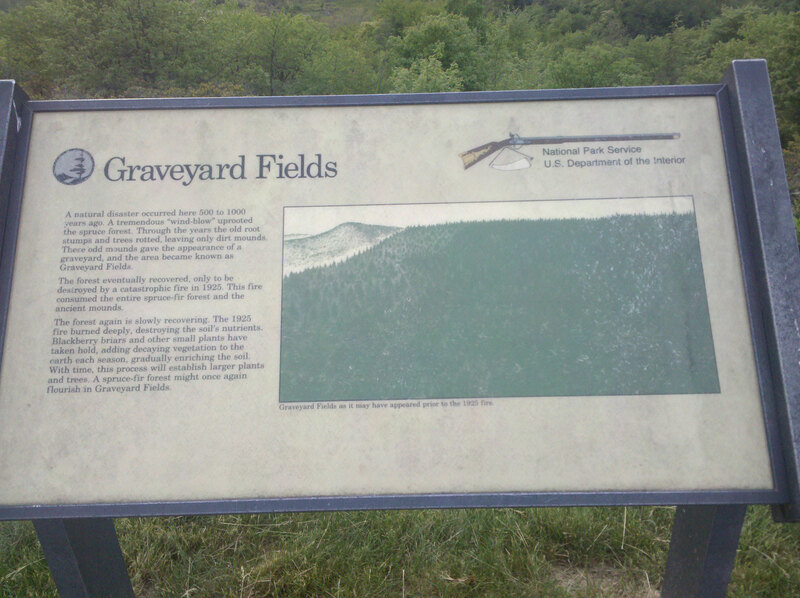 One of the places we were able to visit in the Great Smoky Mountain National Park was the Graveyard Fields. This area had once been ravaged by forest fires and most of the growth is new growth. The area gets its name from the days prior to the fire when so many trees were cut down the meadow looked like a graveyard of tree stumps. 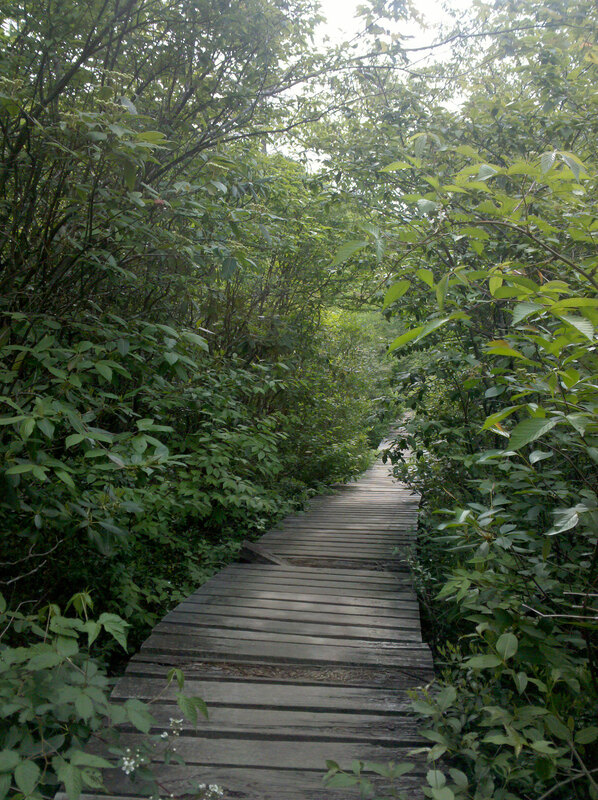 Hiking from this point begins with a steep decent down wooden stairs. As you climb down the stairs, you enter a magical Hobbit-like land of too-good-to-be-true green fields and small forests. 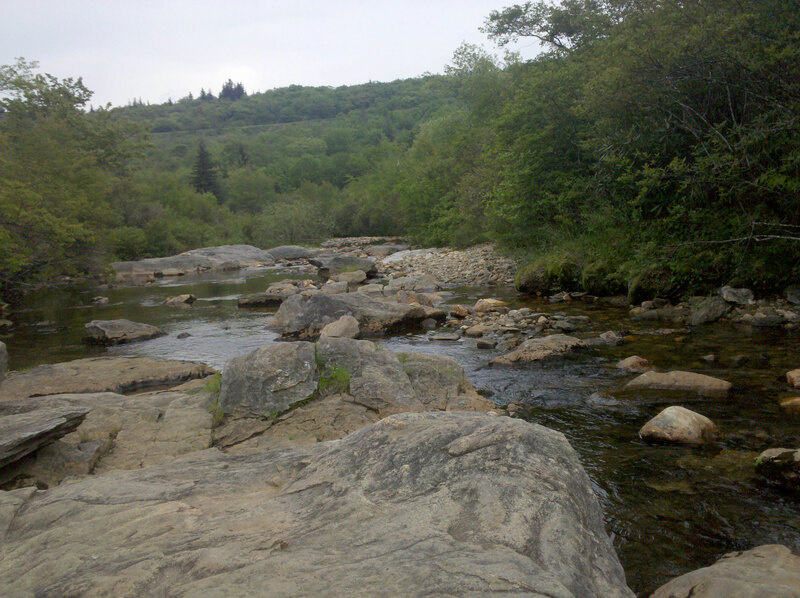 babbling brooks and shallow streams abound. 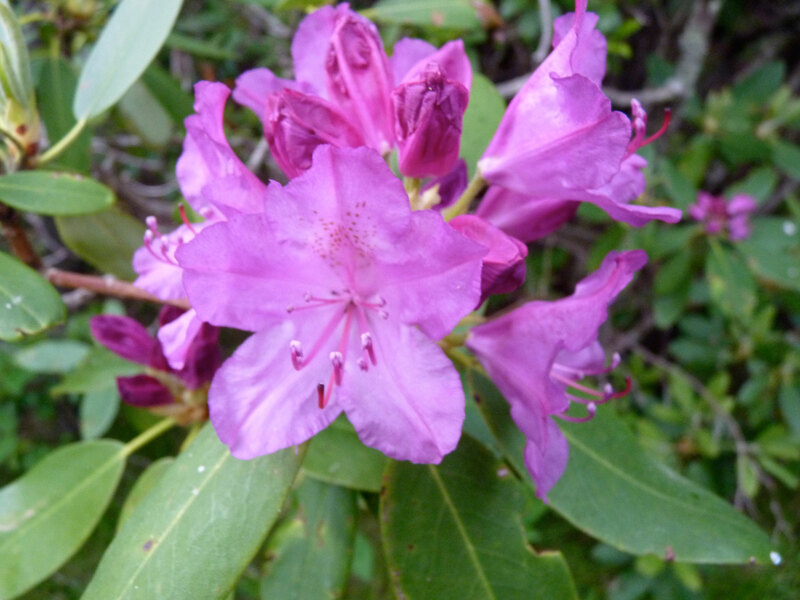 All along our path we ran into incredible flowers and peaceful areas of natural beauty. After a fresh rain easier in the day, our hiking poles really helped us get around muddy patches and cross over streams and creeks. Some areas made great use of our hiking poles to navigate slippery rocks. 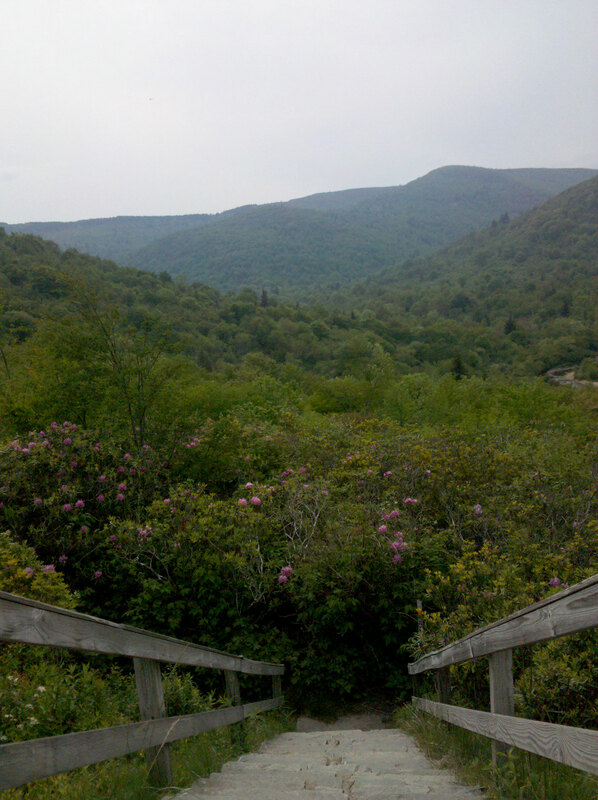 After a few days of strenuous hiking up deep ascents, it was a pleasure to hike a shallower inclined path. 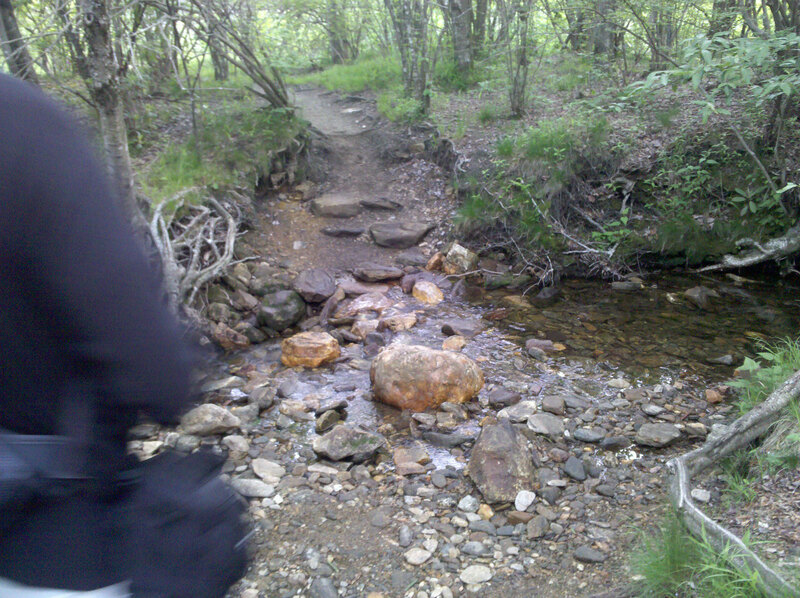 At halfway point, we sat and admired a small “waterfall” over rocks in a creek. After a few days of hiking and driving, we needed to stretch. My partner demonstrated some easy back stretches. 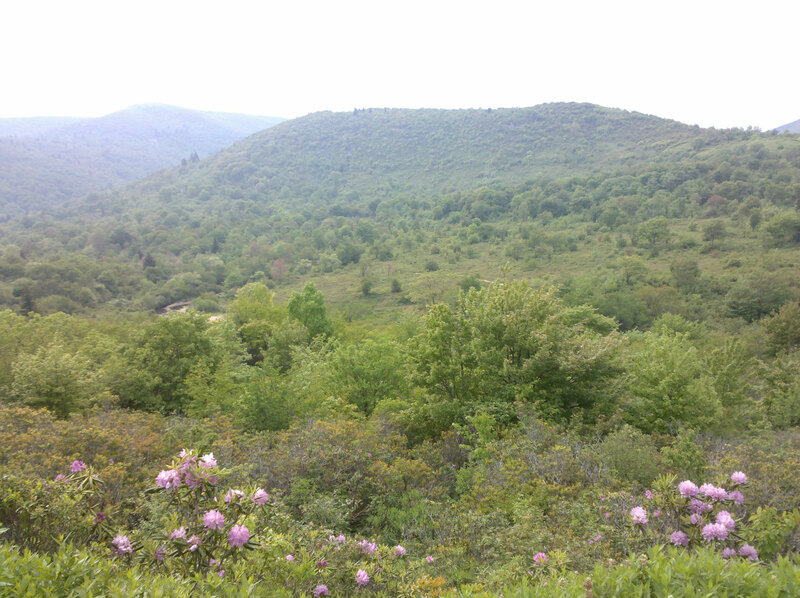 Much of the terrain in the Great Smoky Mountains involves ascents and descents. 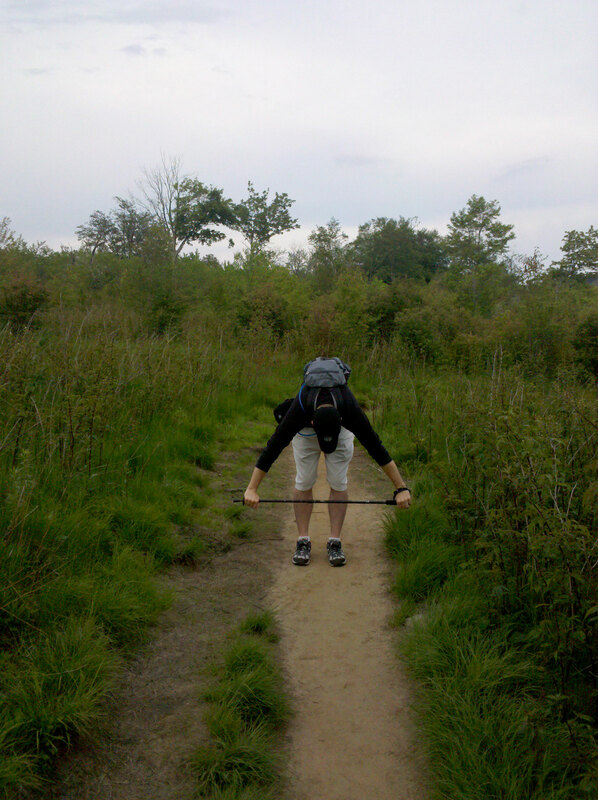 Using hiking poles makes it easier to cross streams (for balance), to hoist yourself up on the next level of rock in the path and as we show above, for stretching! 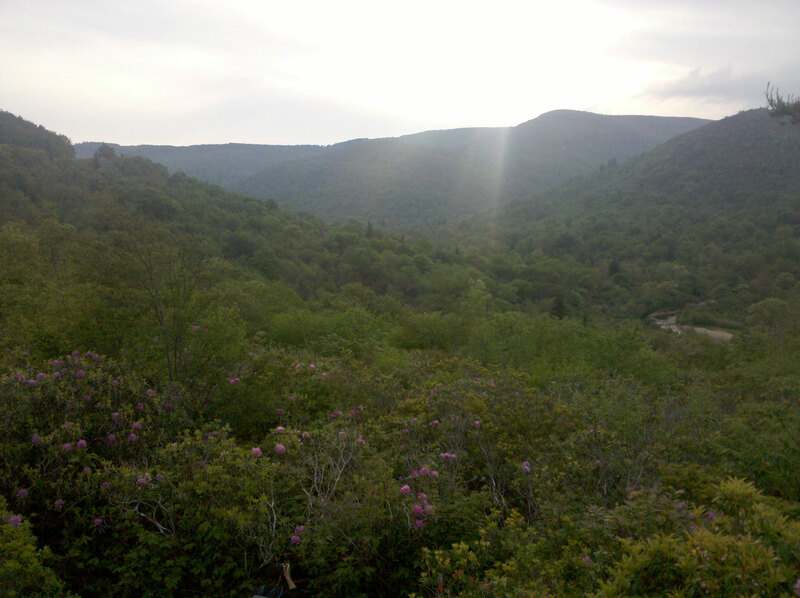 The rewards of a long day hiking and driving include vistas like this one at Sunset. More pics and stories of our hiking adventures to come! Don’t let the snow and cold keep you from exercising outdoors. With the right gear and proper supplies, you can still hike and enjoy the great outdoors! 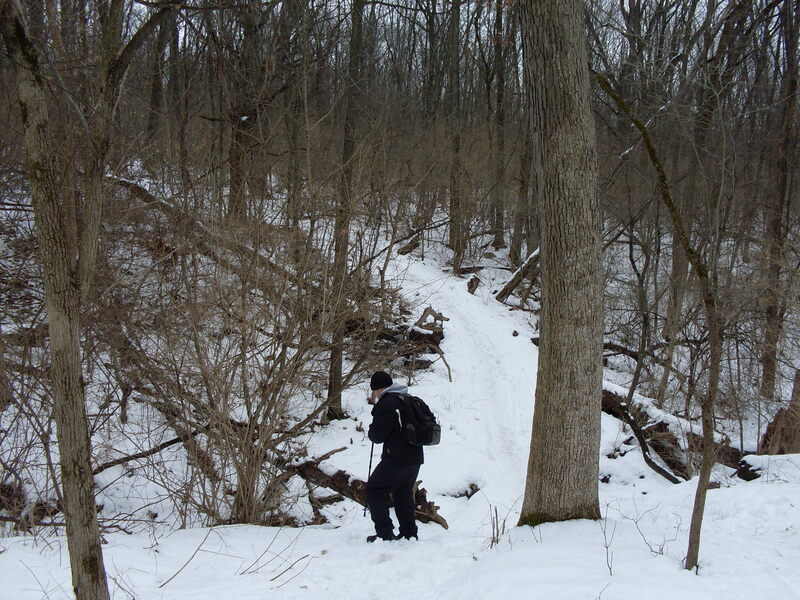 And the Chicago area forest preserves are open all winter to help keep you on track. I’ve had the good fortune to get out a few times in the past month and hike in the Palos area forest preserves with my partner, Jay. We both have snow shoes and poles but it’s been too slushy for the snowshoes. So we hike it and use the polls for an even better cardio workout. Don’t get me wrong, the gym is still a great place to go in winter for cardio and strength training. But being outdoors gives your mind a chance to get away from televisions, loud music and…crowds. 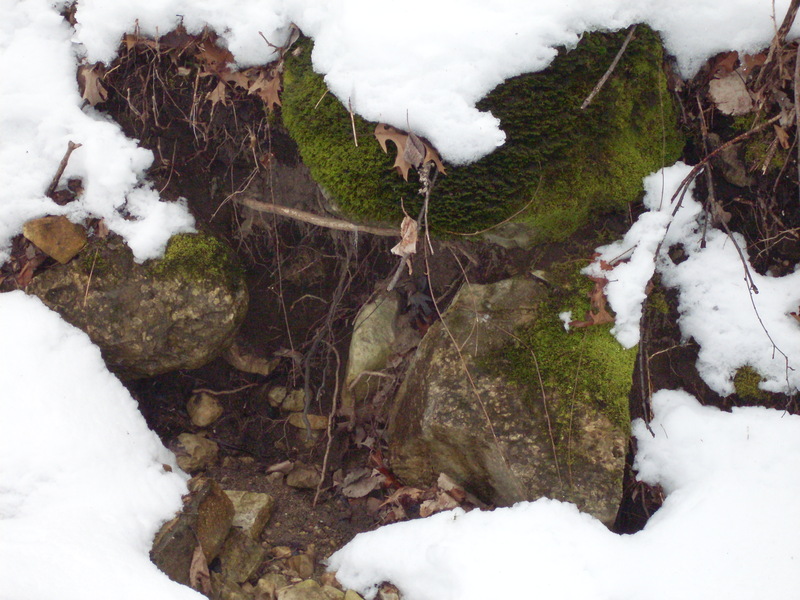 Moss covered rocks peeping through the snow heralding Spring! We hike in waterproof boots and wear warm down coats. But as the hike goes on, we end up taking off our gloves and peeling off a layer as our bodies warm up. It’s important to bring snacks to keep our blood sugar up and water for hydration. Even though it’s been relatively milder temperatures, we still need fluid and energy for the ups and downs of the ravines we travel. 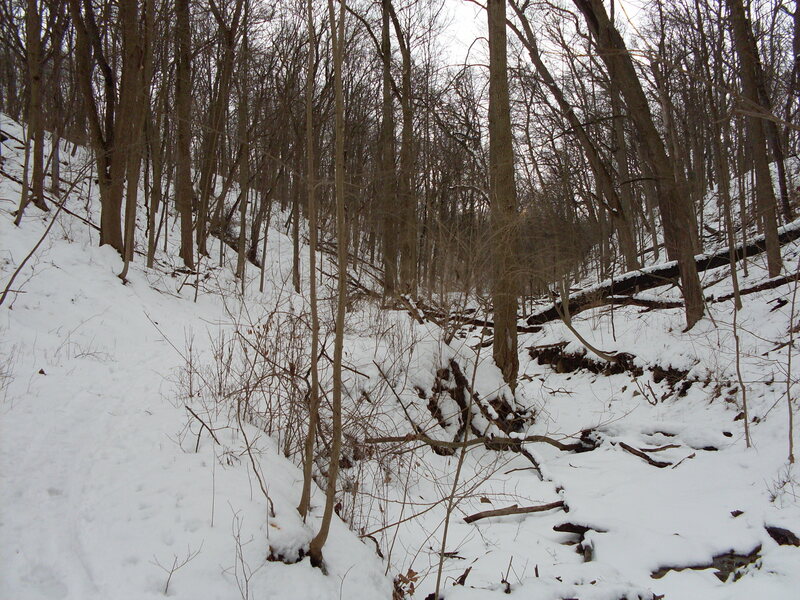 For a map of the hiking trails in Palos Forest Preserves Trail System, click here. • Columbia Sportswear Woman’s Moonlight Mover pant click here. • Yukon Charlies 3 Section Adjustable Hiking/Snowshoe Poles click here. • Pacific Outdoors Optima 10-by-32 Snowshoes click here.